Basting this Herb Roasted Turkey & Pan Gravy in Campbell's broth infuses the meat with delicious flavour while keeping the meat tender. Mix stock or broth with lemon juice, basil, thyme and black pepper to create basting mixture. Roast turkey according to package directions (until internal temperature of turkey reaches 180°F / 82°C), basting occasionally with basting mixture. 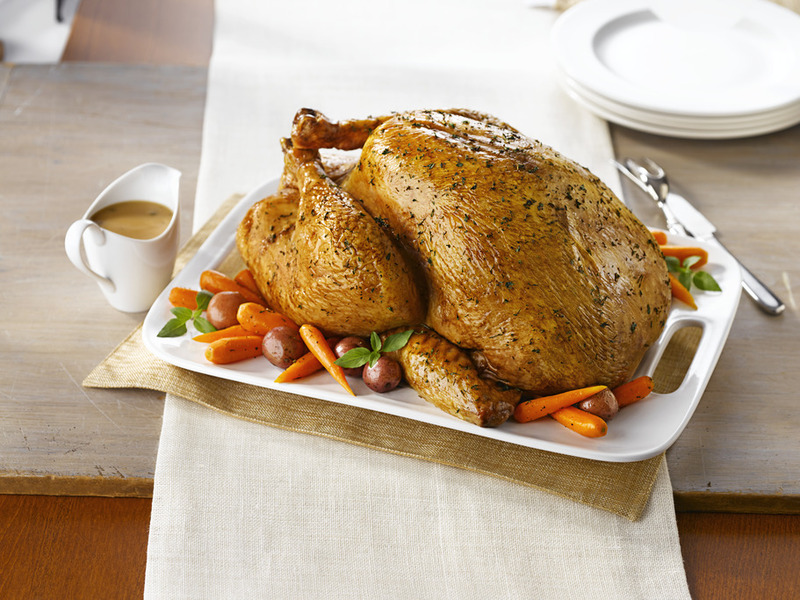 Once cooked, remove turkey from roasting pan and let turkey stand for 10 minutes before slicing. Pour drippings into a saucepan skim off fat leaving around ½ cup of drippings. Add remaining stock or broth mixture and flour to drippings in saucepan. Heat until mixture boils and thickens, stirring often. Serve with sliced turkey. Sauté sliced mushrooms in butter with thyme before adding the pan drippings to make mushroom gravy. Replace the dried herbs with 2 tbsp (30 mL) chopped fresh herbs, such as thyme and tarragon. Double the gravy to have enough to serve with leftover or to make hot turkey sandwiches. 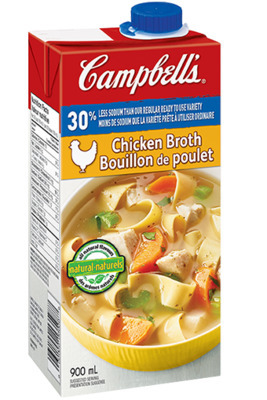 Reheat turkey without losing flavour by using Campbell's® Ready to Use Chicken Broth. Arrange leftover turkey in a stove top pot and add enough broth to cover the bottom, warm on med-low until heated through. 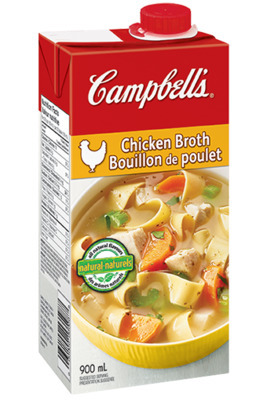 If using broth, use 600ml. Given stock is more concentrated flavour, boil basting mixture for 10 minutes (or until reduced slightly) to intensify the flavour.